As I've been writing these posts covering my favourite songs from 2007, I've been reminded about how the UK chart adapted to the advent of downloads. The chart rules at the time dictated that a download was only eligible for the singles chart in the weeks leading up to the release of a physical (usually CD) copy of the track - and so, for the first time in years, songs actually climbed the UK chart instead of peaking where they entered. Just a couple of years earlier, Amerie's unique brand of R&B has taken the world by storm as "1 Thing" hit top 10s around the world. But in 2007, the equally as sonically interesting "Gotta Work", which sampled Erma Franklin's version of "Hold On, I'm Comin'", and "Take Control" (number 86 on this list), which was co-written by Cee-Lo Green, contains a sample of "Jimmy Renda-se" by Brazilian musician Tom Zé and credits Hall & Oates for use of elements of "You Make My Dreams", only took off in the UK. Another artist finding the going tough in the second half of the decade compared to the first was British drum'n'bass outfit Kosheen, whose third album, Damage, was pushed back from a 2006 release and came out in Europe before the UK, all of which suggests some behind-the-scenes hand-wringing going on. Although the album didn't perform as well as previous efforts, songs like "Overkill" were on a par with their earlier singles. A band on the way up in 2007 was this rowdy lot who landed a UK number 1 single with this first taste of second album Yours Truly, Angry Mob. Follow-ups "Everything Is Average Nowadays" (number 82 on this list) and "The Angry Mob" (number 72) performed less well, but the parent album was another solid seller (even if it shifted less than half as many copies as debut Employment). Another single from her comeback (in Germany) album, Never Say Never, "Together We Belong" doesn't seem to have had a video filmed for it, and so instead, please enjoy this TV performance, which finds Kim in fine voice indeed. As the turn-of-the-millennium golden age of pop faded around the mid-'00s, I'd found myself turning to electro-rock and indie bands to satiate my need for a sing-along hit - but in 2007, synthpop started to make a big comeback. British act Ladytron had been releasing great synthpop singles like 2002's "Seventeen" for years without ever managing a UK top 40 placement. Perhaps they were just too ahead of their time - that was certainly the case with this single, which originally surfaced in 2005 before being re-released in 2007. She might have kicked off her second album campaign with the abomination that was "Wind It Up" but it quickly became business as usual for Gwen Stefani, with lush synth-based tracks like "Early Winter" and "4 In The Morning" (number 75 on this list) rubbing shoulders with pop/R&B singles like title track "The Sweet Escape" (number 60) - many of which originated from the sessions for Love Angel Music Baby. Since I was a big fan of Gwen's debut album, I was happy to have more of the same, but she came in for criticism for what seemed to some like a rushed out clearance sale approach. By now established as a solo star in his own right and not just a songwriter for hire, Ne-Yo moved onto his second album, from which this title track was the only major hit, and popped up on Rihanna's "Hate That I Love You" (number 47 on this list), a song he co-wrote and co-produced. Not only was this debut single by the British band a top 10 hit in the UK, it quickly became the go-to music for any boxing coverage and was also used in promos for reality series The Contender. Who said you couldn't make money from music anymore? While Kelly Clarkson's second album hadn't been at all difficult - yielding a swag of massive hits - her time came with album number three, My December, which eschewed catchy pop hits for tortured, angsty rock, like singles "Never Again" and "Sober". A bright spot in the otherwise depressing musical landscape was this Australia-only single. Meanwhile, Pink, who often shared songwriters and producers with Kelly, realised that you could have edge without abandoning pop sensibilities. In the case of this sixth single from I'm Not Dead, that edge came from the F-bomb-laden lyrics. As usual, Australians couldn't get enough of Pink or the I'm Not Dead album - and so a seventh promotional single was released: "Cuz I Can" (number 63 on this list). I'd gotten into a bit of a one album on, one album off routine with Ash, liking songs from both 1977 and Free All Angels, but not the albums either side. And so, if that pattern stuck, 2007's Twilight Of The Innocence was due to be the next album I liked, since 2004's Meltdown had completely passed me by. Thanks to this lead single and "End Of The World" (number 153 on this list), the pattern stuck for me - although neither were that successful in the UK and the album became the band's first studio album to miss the top 10 there. All that may have had something do with Ash's decision to return in 2009 with a series of 26 singles (released every fortnight) rather than another traditional album. He'd started his career as guest vocalist on 1990's club classic "Killer", but in the years since, Seal had moved from being a dance act to something much more middle of the road. He sought to remedy that with fifth album System, which was produced by Stuart Price (aka Thin White Duke), the man who'd taken Madonna back to the dance floor a couple of years earlier. Despite being his best single in years, "Amazing" - and System - wasn't a success, and Seal swiftly moved on to the more lucrative ploy of covering soul standards. I even surprised myself a little by liking this lead single from Maxïmo Park's second album, Our Earthly Pleasures, which sounds like a cross between Foo Fighters, Kaiser Chiefs and Klaxons. But, since I liked songs by those three bands, then it made sense than this frenetic track would fit right into my mid-'00s music taste. One of the follow-ups even made my top 100 - "Girls Who Play Guitars" at number 88 on this list. Her 2005 compilation album, Most Wanted, had brought the first part of her music career to an end, and so in 2007, former Disney star Hilary Duff was finally able to grow up - with the requisite sexier image and more mature songs that usually entailed. Like most other pop acts of the time, Hilary moved on to a more electronic sound on the Dignity album. She also courted controversy, with reports "Stranger" was about ex-boyfriend Joel Madden's new girlfriend, Nicole Richie - it was actually about her father's affair. Despite the attention, "Stranger" ended up being much less successful than preceding single "With Love" (number 89 on this list). Two more singles were lifted from Sam's Town in 2007 - "Read My Mind", which came with a great Pet Shop Boys remix, and "For Reasons Unknown" (number 92 on this list). To round out the year, the band released Sawdust, an album of B-sides, alternate mixes and cover versions. Number 26 "The Way I Are" by Timbaland featuring Keri Hilson & D.O.E. His first solo album, Tim's Bio: Live From Da Bassment, had been met with indifference back in 1998, but almost a decade - and a stack of hits produced for other artists - later and it was a very different story. 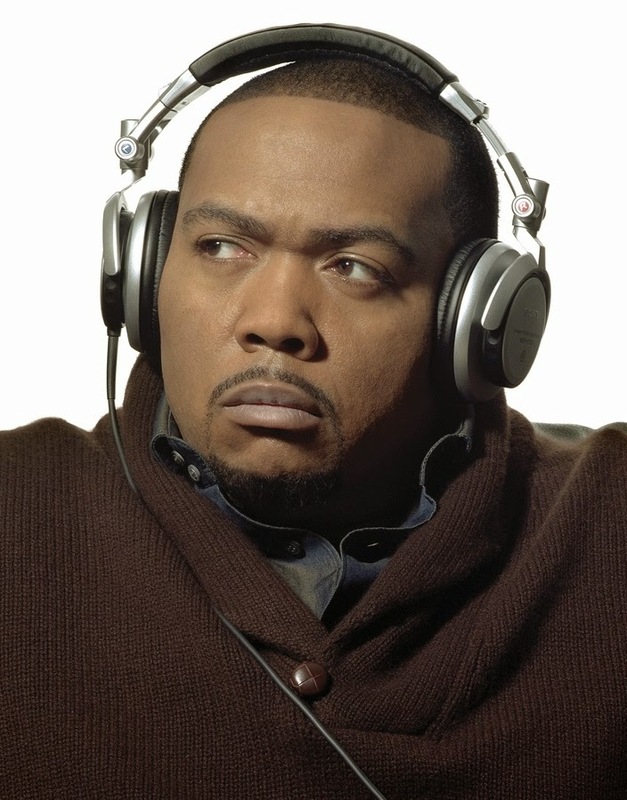 Timbaland could do no wrong with the singles from Shock Value, topping charts around the world with "Give It To Me", "The Way I Are" and "Apologize" (number 44 on this list), OneRepublic's 2006 single which received a new lease of life thanks to the producer's magic touch. In Part 4: one of Timbaland's most regular collaborators returns with his second solo album, while a Barbadian singer and a group with a love for long song titles both had a massive year.